any tips would be appreciated: I'd like to hang a large (24"x36"), aka poster sized print of Soke and or Takamatsu-sensei in my studio. 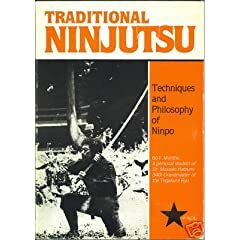 I would LOVE to have a good quality image of the photo on the front of Bo Munthe's book on Ninpo (as an aside, what's up with Mr. Munthe lately? I did a google search and yowza!). Anyway, any help would be appreciated. Just to be perfectly clear this poster/print is for my own personal use and will not be redistributed in any way. Do you have a hard-copy of the image you want?